How did this discovery happen? I have always been interested in games, puzzles, languages, and interdisciplinary crossovers: blurring the edges that supposedly separate academic fields. As I see it, life is patterns, shapes, sequences, parallelisms, and the behavior of closed systems governed by tightly defined sets of rules. Art happens in the wiggle-room within the rules, and in the juxtaposition of things that have surprising connections. To me, the preparation of musical compositions or performances, or the solution of puzzles, or computer programming, or the playing of a bridge hand, are all aspects of similar processes. They merely have slightly different rules and sets of symbols to be manipulated, to build desired outcomes. They are all languages with meanings to be conveyed. Large problems are reduced to smaller ones through experience and strategy. Even the finest from the Workmaster puppy farm doesn't grow up to be a cat. Cats do not catch sheep; sheepdogs do not catch crickets. They're built differently. Shapes (and abilities) of solutions must be matched correctly to shapes of problems. The proper placement of twelve notes within an octave is a practical puzzle that has occupied me for 22 years; and I was absolutely sure that Bach's way was never knowable, and never a single pattern anyway...or somebody would have found it, long before now. So, I always chose (and modified) temperaments ad hoc by whatever pieces I was working on. I had developed several different computer spreadsheets and other programs to analyze temperaments, over the years. In 1997 I informally published one of my doctoral projects in this area as a web page, with special analytical interest in the ways that circulating temperaments organize the perceived quality of chords. Occasionally since then, various people have sent me suggestions or altered versions of my spreadsheets from that web resource. In spring 2003 my wife taught a university honors seminar on the roles of society in the arts. Her texts included Art Worlds, Music and the Mind, and Sparks of Genius: The 13 Thinking Tools of the World's Most Creative People. She also hired me as guest lecturer for part of the musical presentation. We had plenty of animated discussions at home during that semester, especially of the latter two textbooks, as she prepared her own lectures. How can patterns in one field inform understandings in another field? That is a perpetually fascinating question. Later that same year, our infant daughter started to assert her personality and knowledge exponentially every day. Into late 2003 and early 2004, her acquisition of language, music, problem-solving, and pattern recognition caused me to reopen these same questions for myself: how do patterns organize reality, and define the rules, and confirm or break expectations? How does a child learn so many things so unbelievably quickly, with so many associations? The human mind gravitates to shapes and patterns. Babies attach reliable meaning to patterns of phonemes, even if they cannot yet speak, and even if their own "baby talk" has incorrect phoneme substitutions in it. Small children have no trouble recognizing shapes and symbols with "wrong" rotations, reflections, wacky proportions, or other distortions. The distinguishable meaning arrives through the shape's essential integrity. "That's a bunny because of the long ears; kitty has pointed ears." That will be a bunny even though the drawing is not finished yet, and blue and purple! Tunes are recognizable, even if all the notes are wrong, as long as the rhythm is right. Puzzles and mazes can be solved upside down or backwards; sometimes it is easier to see the shape relationships and avoid tricky dead-ends that way. Adults, by contrast, usually expect that things will be neatly finished and turned correctly, and to be savored in orderly sequence. Most adults think in well-organized words and sometimes also in correct formal logic; nonsense is as childish as coloring outside the lines. Picture books are infra dig. Reality is neatly packageable into sensible words. Fortunately for adults, antidotes are available: such as Leonard Bernstein's Unanswered Question, David Wiesner's Tuesday, TS Eliot, Russell Sherman's Piano Pieces, Madeleine L'Engle's tesseracting trilogy, Douglas Hofstadter, Joost Elffers, cat saltation, cheese shops, and Bach's Well-Tempered Clavier. Meaning is in coherent patterns and shapes, put together in ways that seem familiar or surprising or both. That's what language is. That's also how music works. Onto that prepared ground fell several e-mail messages to me from David Hitchin, in March 2004. He had found my spreadsheet on the web and sent me back a modified copy of it, asking me to look at the analytical numbers he had input for a "Sparschuh-Zapf" temperament. In several rounds of follow-up dialogue with Hitchin and clavichordists Michael Zapf and Paul Simmonds, I learned that this odd temperament was based on the irregular line drawing at the top of Bach's WTC title page. I found it interesting that this drawing was taken as evidence at all, and I looked at the reproduction of the whole page in The New Bach Reader. It became obvious to me quickly (simply by paying closer attention to the drawing and not merely glancing at it as I'd done before, taking it as merely decorative) that there might be some meaning there, as Andreas Sparschuh had suspected. But, Sparschuh and Zapf had interpreted it creatively as a prescription of fifths that beat in seconds and half-seconds (of time). It indeed can be forced to yield such a result, but only at a specific pitch level and specific octaves of the keyboard, and furthermore it leads to an extremely irregular layout with ten different sizes of fifths. In a favorite term from my wife's field, this caused a "cognitive dissonance" in my mind as I studied Bach's drawing. No one, to my knowledge, has ever tuned in such a manner with a constant arithmetic beat rate (as opposed to a constant geometric size) across a number of fifths ; and surely Bach did not, as it is so far off the path of normalcy. Their solution looked arbitrary and forced, to me. Historically validated temperaments rarely have more than two different sizes of tempered fifths, especially in the Germany of Bach's lifetime. Why would any 18th century musician, let alone the great family of Bachs, not know and/or not care that constant beat rates cause geometrically different fifths? Among other problems, it would be difficult to play with other instrumentalists and singers if there are too many different sizes of intervals, melodically; how will they find their pitch accurately ahead of the keyboard if the irregularities seem random, as in S-Z? It has ten different fifths, twelve different sizes of semitones (Mi-Fa of the scale), eleven different sizes of tones (Ut-Re), and eleven different sizes of major thirds. Musical colleagues would have to adjust every one of their pitches from regular positions, ad hoc, to perform accurately with a keyboard so tempered. Hence the "cognitive dissonance" in my mind. It's common knowledge from setting regular (i.e. meantone) temperaments by ear that geometrically regular fifths have different beat rates according to the pitch up and down the keyboard, doubling at each octave and graduated smoothly in between. That's something every competent 18th century organ builder and harpsichord tuner would have to know as part of the basics of their everyday work, getting smoothly regulated fifths (at least on the naturals) as a ground plan for any reasonable temperament. Any imposed restriction to hold the beat rates constant, as with a pendulum or heartbeat or whatever, instead of holding the sizes of fifths constant, is merely an arbitrary premise (due perhaps in part to Jorgensen's "equal beating" modern formulations?). So, I couldn't believe that any of the Bachs would tie their own hands with such a premise. Further, it made no sense to me to have A major be the brightest (farthest out of tune) of all the major triads, as the S-Z temperament delivers. If this Bach drawing was meaningful, it had to be something other than the Sparschuh-Zapf interpretation. Then it hit me: starting from normalcy itself (i.e. modified-meantone tuning on a harpsichord, from 17th-century expectations), Bach's diagram does describe his temperament and merely needed to be interpreted correctly. It has nothing to do with seconds or half-seconds, as the "Sparschuh-Zapf" numbers suggested. It's not the beat rates (numerically) that are encoded in those loops of the drawing, but the regular proportions of comma splits! That is, the drawing is geometric rather than arithmetic. And comma-splitting is normal from the other temperaments in Bach's milieu: by Werckmeister, Bendeler, Neidhardt, and others. That was obvious to me, having devoured Murray Barbour's book 20 years ago. Furthermore, Bach had turned his WTC title page upside-down to draw his diagram at the bottom of the page (so it appears at the top), and the temperament therefore reads right to left! The eleven loops of the drawing clearly have three different sizes or meanings: two different sizes of tempered fifths, and several pure fifths, and the pattern does not close at the ends. Indeed, Bach's placement of the letter "C" makes it clear that this is a temperament, and that middle C is in that position (whereas Sparschuh and Zapf had assumed that C is elsewhere). But this same temperament is easily derived, with or without the letter C: from the simple convenience in keyboard tuning of setting up all the naturals first, and then all the accidentals. The whole line starts with F because that is the first of the naturals, arranging all by fifths. The C here merely corroborates this. The temperament starts on F because that is the way diatonic scales (and the extension, chromatic scales) are generated in the first place; see the theory of this in Blackwood's book, with theorems and functions and modulo arithmetic. This drawing by Bach is a picture of the correct finished result, whether we have started with a C fork or A fork or F fork or something else (a D, A, or G from some soloist's woodwind or violin?...). Bach's pattern on paper, disguised as border decoration for the WTC title page, lays the temperament out in such an obvious way...once one has seen it and knows what would have been considered usual, in its historical background. This is "ordinary" temperament, i.e. a specific modification to a regular layout of tempered fifths, to raise sharps tastefully and lower flats tastefully such that all keys can be played. I tried several different sizes of "single" and "double" tempered fifths, and it quickly became clear that one must start from the normalcy of regular 1/6 comma (either comma!). The pattern of organization is more important than quibbles about exact size. That is a truism of all the regular "meantone" layouts anyway: varying by degree of intensity, but not by shape. With my harpsichord, virginal, and fretted clavichord I then set out to play through all of Bach's keyboard music, starting of course with the WTC itself, to see what might pop out from Bach's pattern of intonation. The results are in the Early Music article. The situation becomes especially obvious when setting up the harpsichord and virginal in different temperaments, and comparing individual pieces back and forth immediately. I encourage readers to do a similar test, either with two instruments or with two registers of the same harpsichord. The enormity of the difference in intonation becomes clear only in extensive listening and experimentation, hands-on and "ears-on". Since April 2004 I have discussed aspects of Bach's tuning, and the related issues, with dozens of colleagues; the process of cross-checking and confirmation in the practical and theoretical avenues has been extraordinarily fruitful. At first I did not expect this investigation to have much if anything to do with the organ works, or the ensemble music, or the transposing Chorton/Cammerton situation; but it all fell into place and has solved all these outstanding problems of the repertoire. 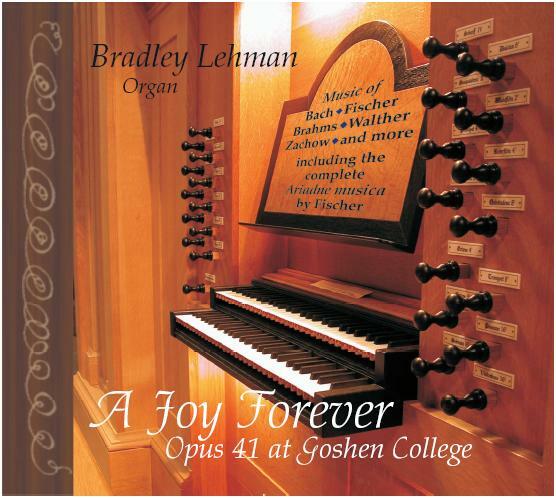 The results have also been used in the Opus 41 organ by Taylor & Boody which I have had opportunity to play in late 2004 and early 2005, first in the factory and then at the Goshen College Music Center. I remain as astonished as anyone. The resonance of this organ, and of all the harpsichords on which I have set this temperament, is qualitatively different from anything we have heard from them in any other tunings. I know how this tuning works, mathematically: it has a fundamentally different shape from all of them (like a cat next to a kennel of dogs), a shape better aligned with the complex behaviors of tonal music. And yet, it still manages to surprise me whenever I hear it, simply by the sheer otherworldly beauty of the sound. 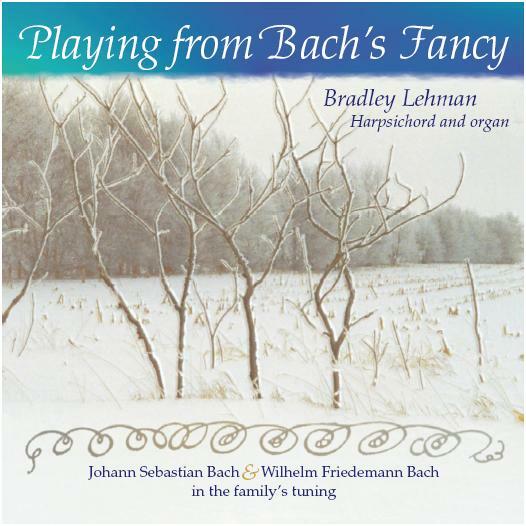 Not only JS Bach's music, but Wilhelm Friedemann Bach's polonaises and CPE Bach's sonatas have some absolutely stunning expressive effects in them, into and through all keys, when played in this tuning. After several months of these play-throughs chez Bach, my wife as a listener offered another perceptive remark: "But it just sounds right all the time, and it's unremarkable. All the other ways you used to tune, and all our recordings, make the harpsichords sound tinny and harsh, and hard to listen to." Indeed; all music works so equally well that it's unremarkable, and the temperament does not call attention to itself (nothing ever sticks out to sound "wrong"), and that's probably why Bach and his contemporaries had so little to say in extant sources. It comes across as "equal" temperament in which everything is fine all the time, and that is what the 18th century witnesses described: as a contrast against the bumpiness and modulatory restrictions of regular (meantone) temperaments. The remarkable thing here is that Bach's pattern was ever lost; after all, he wrote it in the most obvious place he could have put it, at the top of the title page of a book about tuning. Tuning and Temperament: A Historical Survey, J Murray Barbour's 1932 dissertation republished twice in the 1950s and most recently in 2004 Dover edition; The Structure of Recognizable Diatonic Tunings by Easley Blackwood Jr, 1985; and Tuning the Historical Temperaments By Ear by Owen Jorgensen, 1977. Jorgensen's 1991 replacement Tuning didn't yet exist. Unfortunately, Jorgensen's thick books are notoriously thin on the use of sources that are not in English; and his developments of the concepts "well temperament" and "equal beating methods" are historically questionable. These hidden biases certainly misled my understandings of these areas for a long time, as an eager young student. But the inspiring thing, to me, was that Barbour and Jorgensen presented a lot of different temperaments with various advantages to them. Blackwood's mathematical book is brilliant work in conveying an understanding of the way scales are put together, and suggesting the role of temperament in all this. Art Worlds by Howard Becker, 1984; Music and the Mind by Anthony Storr, 1992; and Sparks of Genius: The 13 Thinking Tools of the World's Most Creative People by Robert and Michele Root-Bernstein, 1999/2001. I am aware that some would dismiss the letter "C" as part of the diagram at all. That little C could be read as merely a capitalization hook for the bigger C of "Clavier" (a possibility brought to my attention in 2004 by John Brombaugh and Ibo Ortgies). This was also addressed directly in footnote #63 of part 2. Yes or no, either way with or without the letter C, the interpretation of the diagram remains the same (i.e. the letter C isn't absolutely essential here). The physical layout of a keyboard makes F the most logical place to start, for the beginning of the line. If we are to tune all the naturals in some temperament, by some size(s) of fifth in sequence ascending, F is the first of them; otherwise we'd run into a tritone somewhere instead of a fifth. F-C-G-D-A-E-B fifths. And then it is finished off with the five accidentals. [B-]F#-C#-G#-D#-A#. We're back to the naturals and there is nothing more to do. As a performer my repertoire spans most of the solo keyboard literature from 1500 to 1775, plus Renaissance and Baroque ensemble music and some modern works. I am particularly interested in historical styles, unequal temperaments tuned by ear, transcriptions, thoroughbass improvisation, and directness of expression through musical rhetoric, a "gestural" manner of performance. Obviously, the music of the Bach family is especially a focus of my work. In addition to my concert performances in North America, Germany, and Costa Rica, I have served several congregations as organist and music leader. A recording of trumpet and organ music, including some of my compositions, is the new CD "In Thee is Gladness", with Martin Hodel. Other publications are listed here, in my various roles as performer, composer, record producer, and author. My professional memberships include the American Bach Society, Southeastern Historical Keyboard Society (SEHKS), and the Academy of Early Music. In my regular full-time job I develop business software for EPOS Corporation of Alabama and Georgia, a subdivision of Tier Technologies Inc. I live in Virginia with my wife, daughter, four cats, a border collie, two harpsichords, a virginal, a clavichord, and a reed organ. The dog and one of the cats are pictured above. A chief hobby of mine is playing the game of tournament bridge through the ACBL. I always have a stack of music books and bridge books going simultaneously in spare-time reading. 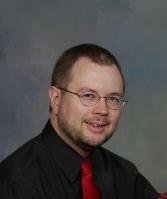 See also my home page and my more detailed curriculum vitae for music and musicology. But what about musical life before 2004? Where does this background in unequal temperaments come from? I studied piano from 1970 to 1983; with no centered thoughts about intonation, from that angle! The last several years of that, leading into college in 1982, I had found that I had more fun playing Bach's music than other people's music. So, it became natural and eventually necessary to quit piano, and to get into harpsichord and organ instead of piano. Piano practice did not help my technique for these other two instruments; I had to unlearn piano habits! Starting my harpsichord study in 1983, and serving as the college's harpsichord maintenance person, I played most of the time in either "Kirnberger III" or 1/4 comma meantone, with no middle ground between them. Everything late went one way, and everything early went the other! Life was so easy. In about 1984 or 1985 I read Barbour's book and Jorgensen's first one, and began to experiment with some of the temperaments therein, becoming especially fond of Young's #2 when it became time to give degree recitals. With these books and my hands-on experiments with several harpsichords, my historical and mathematical infections began: wanting to know how and why these various temperaments sounded so different from one another, and why this might have some historical importance. Plus, this was a nice way to double up my interests in my mathematical degree, with set theory and "modern algebra" (the kind of theoretical stuff that doesn't use numbers anymore, except for the special cases of 0 and 1). I was a double-major with music and mathematics, and of course none of the course work overlapped. Why should it? Those are entirely separate fields (which, of course, I no longer believe...). From 1982-9 I played in recorder consorts, some of the time using a "Renaissance" set of instruments based on regular 1/4 comma meantone intonation. When using later recorders we of course worked at lowering some of our major 3rds; my experience of variable intonation is as a recorder player and a singer (various choirs and small ensembles, 1981-2000s), and as keyboard accompanist of singers and string players. For the harpsichord in small chamber ensembles and with orchestra, I almost always set it in Kirnberger. My organ lessons and practice from 1984 forward were of course in equal temperament, although I did experiment a bit with our college's portable positif for some of my accompanying jobs, nudging it toward Kirnberger for a more interesting sound than equal. During the summer of 1986 I devoured Easley Blackwood's book The Structure of Recognizable Diatonic Tunings (1985), which really made me think, and I searched through The Bach Reader for any and all leads about Bach's own practices. Nothing conclusive, except a nagging suspicion that Kirnberger III isn't right because it has a pure major 3rd in it. Dang! That Marpurg-Kirnberger set of debates sure carries a lot of weight, in the assertion that Bach tuned all the major 3rds sharp! Anyway, my harpsichord tuning was now down to about half an hour instead of an hour. Practice yields speed and accuracy! For one of the years between 1986 and 1989, I don't remember which, I had my teacher's harpsichord for a year as she was away on sabbatical. I spent that year especially exploring temperaments, again with the Jorgensen book and anything else I could find. During my master's and doctoral study, 1989-94, most of my lessons were played in Werckmeister III, whose sound I never really liked; I definitely knew something was wrong with it, especially for Bach, but I couldn't yet place what the problem exactly was. Werckmeister III made the instrument feel "brutal" under my fingers...but how does one express that suspicion, out loud, when it's hardly more than a subconscious irritation most of the time? The harpsichords I played on in graduate school are marvelous in every way: but W-III made them feel brutal (at least to me), simply through the harsh sound produced at places where the music shouldn't be ugly. Some of this induced me as a student to phrase the music in ways that no longer make sense to me, reacting to those lumpy parts of the sound--especially the intervals of Ab-C and Db-F. It's not the instrument's fault, at all; it's the temperament's fault! I developed a gradual but strong personal antipathy toward W-III and its basic set of sounds. Something in my instincts told me that W-III is far from a graceful solution...even though some very highly respected musicians like it very much, and have built brilliant careers playing in it (by overwhelming it with their own stronger musicianship, basically). In lessons we worked on all sorts of other necessary things in technique, interpretation, and historical awareness...but rarely discussed any intonation topics. My interest in that aspect of music was mostly self-guided, and in fooling around on my own with the virginal I had bought, and with a friend's borrowed clavichord. I needed to learn all the other stuff anyway, to become well-rounded as a harpsichordist and musician, so I didn't worry too much about intonation at that point. As harpsichordist in ensembles I usually used regular or slightly modified meantones, or less often Werckmeister or Kirnberger. Go with the local standards, and everybody else's comfortable habits! My earliest Internet posting about any of this was, I believe, this one in rec.music.early in April 1994, where I surmised that "Bach's well-tempered clavier was actually an advanced form of meantone (complete with a mild wolf), not what we now call well-temperament (where no fifth is wider than pure)." At that point I suspected what the general characteristic probably was; but not the correct shape yet (with that "mild wolf" at A#-F instead of G#-Eb!) or enough evidence to back up that practical intuition. I mainly knew that it's a good thing to have strong enough inequality. 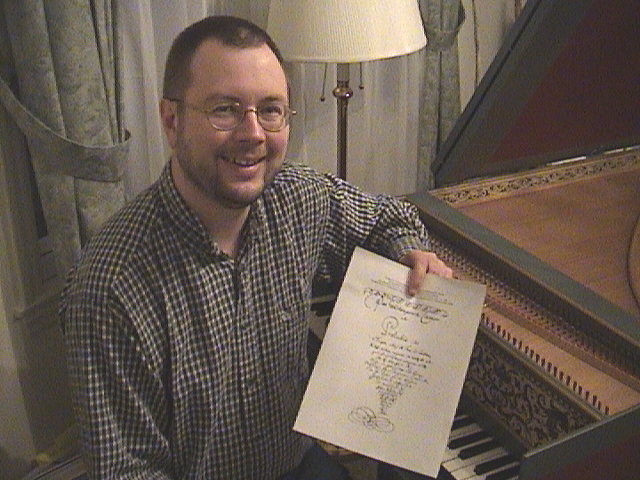 I continued to play most of my harpsichord repertoire in an ordinaire "modified meantone", from 1994 through early 2004, with occasional other choices depending what I was playing. I hardly ever used Vallotti or Young anymore, as I felt they were relatively dull. (Not much Kirnberger, either, because its pedigree is so questionable...not that that is a particularly good reason to reject a good-sounding temperament, though!) My ordinaire for most work was based on either 1/4 or 1/5 comma, to taste, and then pure 5ths starting with B-F#-C#-G#, and enough fudging around the flat side F-Bb-Eb (or sometimes starting with pure 5th C-F and then fudging F-Bb-Eb) with widened 5ths to make things sound good for all the normal keys. I'd still set up a completely regular 1/4 comma meantone now and then, to play 16th century music. I worked on some of Bach in regular 1/6 in 2001-3, and experimented occasionally with regular 1/3, 2/7, 2/9, and 1/5 for other earlier repertoire. I tried some of the Neidhardts, and Barnes and Kellner, without particularly liking any of them. (I like Neidhardt's 1724 "Dorf" now but not then!) But for 17th and 18th century music, usually my basic ordinaire based on 1/4 comma, bringing that French/Italian style to almost everything I played. To try some CPE Bach, Mozart, or Haydn occasionally on my virginal or harpsichord I would bring out the Young #2 again. I had also bought a clavichord in the mid-1990s and that was in a generic "well temperament" of no distinction; entertaining but not particularly inspiring. In all of these, the major 3rds F#-A#, B-D#, Ab-C, and Db-F were always as wide as Pythagorean, or even a little bit wider than that. I had talked myself into enjoying/accepting this as the way things must normally be, based on all the usual literature about such things. With all these pedigreed and documented temperaments, did everybody of the 16th-18th centuries indeed have tin ears, except for a couple of wacky German theorists and a handful of equal-temperament crusaders?! Were all these harsh sounds (or the competing harsh sounds of equal!) really normal for all the otherwise brilliant and sensitive musicians? I still had nagging doubts from about 1999-2004, but I'd lost interest in trying to solve any of it. I'd resigned myself to accept this type of layout as normalcy. I'd done all the math, many times over, and there was no apparent way around having either a general dullness (too nearly equal) or an uncomfortable garishness in those historically "meantone" places. The tuning literature presented the consistently fatalistic message that any preference of Bach's, if he ever had one, is now irretrievably lost. That scholarly agnosticism had just about won me over. At least the ordinaire I played in my private practice was vivid and relatively interesting, if not especially consonant in the high-accidental keys. Frankly, and sadly, I lost interest in practicing harpsichord much anymore, playing only occasionally for my amusement, and of course practicing dutifully for gigs. There was nothing inspiring to the sound, to make me want to re-explore all the music I had already "learned". What a waste of a hard-earned doctoral degree in harpsichord! I could still play well, thanks to the excellent training and dedication, but my heart wasn't really in it anymore. I kept reading, sporadically, but I didn't have much drive to keep my instruments in good playing shape. Several broken strings went unreplaced for almost half a year, at one point. I listened to music all the time, to become re-energized, but I wasn't producing much music myself, anywhere near my potential. I composed again for a while (an on-and-off habit since about 1980), without any real focus or deep enthusiasm. I had studied most of the Well-Tempered Clavier in school, years earlier, but I understandably didn't give a lot of attention to the pieces in the weirdest keys, when playing for pleasure...for the simple reason that they sound rotten in Werckmeister or Kirnberger. Understandably, they gave me some impression of being inferior music, because none of the known temperaments allowed these compositions to sound beautiful. The conspicuous absence, all the way from 1983 to 2004, is of course equal temperament. I'd set it up on harpsichords at various times but could not tolerate the way it sounds; and I still don't like it very much! I knew the scholarly arguments from the 1980s that Bach perhaps used equal, but I never felt convinced by them, or convinced by the resulting sound of equal. I was also strongly influenced (from at least as early as 1990) by the writings of Lindley, especially, that a mildly unequal temperament (or several) is better for Bach than equal is. And my own ears told me that equal is quite ugly in the simple keys, and that it's tense and never resolves. It makes harpsichords sound uninteresting, too. Meanwhile, all the way from 1986 to 1996, I had performed in equal temperament every week as a regular church organist; and of course in any piano gigs that came up (despite my aversion to wrecking my harpsichord/organ/clavichord technique by playing much piano). Equal temperament happens to hide all the enharmonic problems under a rug...and therefore I hardly noticed the disparities and problems within Bach's organ music. Therefore I had developed the same set of "blind spots" as almost everybody else, not knowing what to look for in enharmonic situations in the music. It became difficult to see or hear what the problem was, anymore, especially up against the agnosticism of all the Bach scholars as to any intonational preferences. All temperament investigation seemed pretty much like a dead-end, and already thoroughly explored by the published experts. And then the 2004 story picks up above, with my discovery in the spring. Since then, I want to play something on harpsichord every day, for the sheer joy of the music, and I'm always eager to explore everything I can. I've been re-learning my entire repertoire with a different manner of phrasing, articulation, and hearing counterpoint: encountering all the music in more interesting depth. I'm down to about 10-15 minutes now, with any temperament, by ear--except for the ludicrous ones where the instruments fight against me, physically refusing to be set to crazy intervals. The Bach temperament has turned around my whole outlook on music, and my enthusiasm to be involved in music, and has renewed or inspired my current set of skills. It has kicked me in the head, in a good way: forcing me to rethink everything that I thought I knew, all the way back to my music study in the 1970s, going back and playing that music again, and everything in between to experience it more clearly. It has made me many new friends and acquaintances, and renewed some older relationships with other musicians, as I explore where this temperament goes. As I learned from a discussion on Facebook this weekend, there are still some who dispute that a "discovery" has taken place, as to anything new or credible being unearthed and presented. Allegedly, there is either nothing tangible enough there to "discover", or else somehow my presentation has not yet put this into the realm of a credible "discovery". Apparently, there can never be enough evidence to satisfy the agnostic approach of some, toward the problem of finding a historically compelling way to tune for Bach's WTC. To clarify that, here is what I mean by the word "discovery", where I claim to have discovered something worth knowing. I learned how to do a practical task in an effective and insightful way that hadn't been documented before. (The task: tuning a harpsichord in some manner for the entire WTC, without retuning as it goes along, and without going to equal as a cop-out.) This temperament hadn't been in any of the tuning literature known to me. That enharmonic problem is easy to hear in practice, but it can also be quantified, and so I did (the tables in section 2 of the 2005 article, measuring percentage of the comma off-regularity for every differently-named note). I chose 1/6 comma regularity as that baseline for the measurement: because of its contemporary theoretical and practical application in Bach's milieu, and because it's easy enough to do in practice. That is, it is and was a normal way to begin tuning harpsichords, setting regular 1/6 comma naturals. 1/6 comma also allows just enough space (not too much, and not too little) to make a circulating connection around the back, in the sharps and flats, such that the resulting scales exhibit an orderly variety without sending any note more than 100% of a comma off the point of regularity. I solved the problem in a remarkably elegant and simple way, reading it directly from a drawing by Bach with suspiciously non-ornamental-looking features. This solution was without requiring any of that theoretical apparatus that goes into the explanation (i.e. the preceding paragraph), but only by trying it out hands-on directly from the drawing, and suddenly realizing how well that installed system works in practice. I set it directly on my harpsichord, by ear, and played the music. The harpsichord sounded startlingly "better" in the musical problems that I was well aware of, from 20 years of playing that music tuned differently: certain notes always sounding obtrusively out of tune (the intuitive side of that measurable problem with the enharmonic swaps). Having to figure out why the solution works came later, in cross-checking everything for presentation. I deduced this practical solution by considering seriously all the available primary and corroborative evidence, as constraints: the solution must satisfy them all. No fair throwing any of the evidence off the table. Further constraints: the derived solution had to be easy to do by ear in several minutes (which it is), and not to be tied to any particular frequency in Hz, and make harpsichords sound musically plausible. It must fit what we know of Bach's musical skills, his hands-on tuning skills, his care with detail, and his teaching methods by example. Whether Bach intended it to be any sort of puzzle, or secret, is beside the point. It is and has been a real and practical problem, for everybody who attempts to play all this music: one must tune the instrument somehow. And, borrowing Marie Leonhardt's famous formulation about performance practice in general, it should be done in such a way that the composer would have recognized it "at worst, without bewilderment, and at best, with pleasure". That learning process, that deduction from evidence, that flash of insight, that fitting of a practical and elegant solution into all available constraints, is what I call a "discovery".